A special series of articles on the occasion of Eurolanche’s anniversary. This season, the Eurolanche Fan Club entered its 10th season in existence and will celebrate its 10th anniversary on August 12, 2017. On this occasion, we will be publishing a special series of articles about the Fan Club’s history, about your typical European NHL fan before Eurolanche came to be and other interesting topics that weren’t previously published. All of these articles will also be published in the coming book about Eurolanche (which will be available in both Slovak and English), which will be published in late 2017. Various memorabilia and more surprises will be part of Eurolanche’s big anniversary meeting in the High Tatras in August. Every participant will receive Avalanche merchandise and player autographs for free. 2007/08. First season for the Eurolanche. Season of expectations. I can't rate then-management's decisions negatively. They wanted to bring big names and they did it with Smyth and Hannan. They also developed Paul Stastny to skilled center with huge potential. One may think he would be the next franchise captain. As I said somewhere else, the Avalanche roster from 2007-2008 had a great chance to go deep in the Stanley Cup playoffs. I think many fans forget on this and see just big dark hole after 2005. I came to Denver in late 2008, so I met many of the faces from the previous season. Yes, that season when I was there was very, very bad. Nobody knew what caused it so fast. 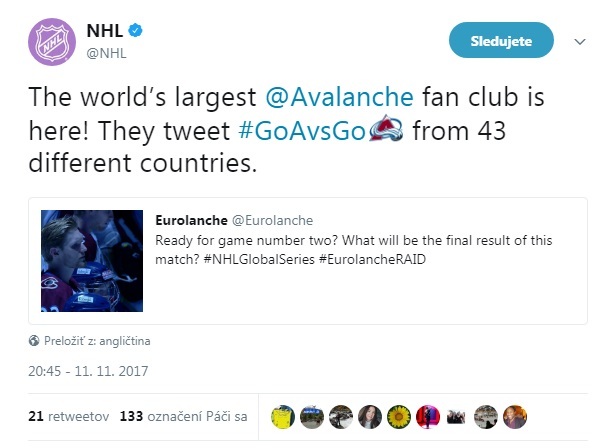 It reminds me the past year Avs had. Nobody had clue what was doing and the team went from loss to loss. 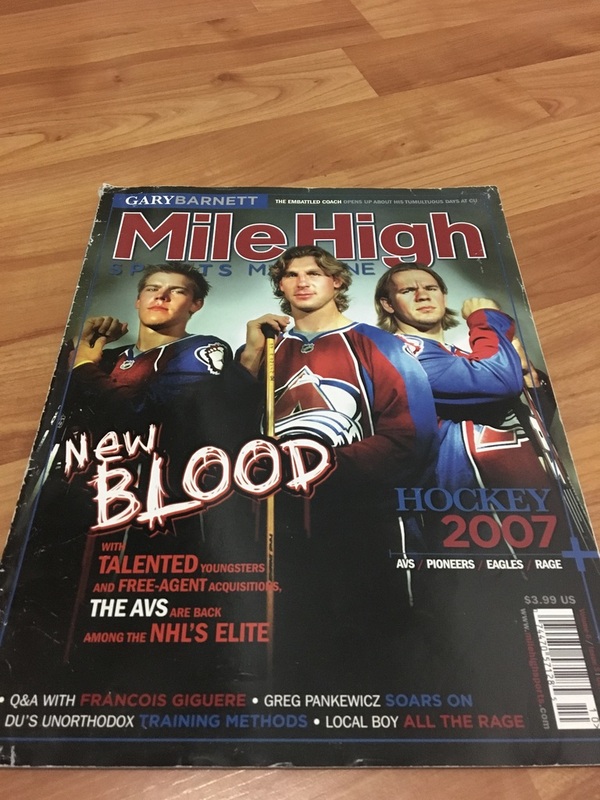 Back in 2007 and 2008, Avs were much different. The overall atmosphere amongst the players were different. They were all nices, friendly and enjoying every game with a big smile. It was a big positive energy that was around the team. It was bad year after, but still I can feel everyone believed it would change soon. No frustration, no excuses, just reality, but still staying a positive. I am missing many guys from that roster. I think if only small things were different, they could win the Cup. It is a big nostalgy to me. First Invasion, first games, first meetings with the players. I am honored I could meet such nice people who welcomed in Denver as best they can.